Designer saree can be found everywhere today, and nothing can diminish its appeal to Indian women. Actually, it is gaining huge popularity on foreign shores as well. So, that’s no surprise considering how versatile and elegant the traditional attire actually is. There are plenty of designers who are constantly spending both time and effort to produce new designs into the markets, and designer sarees are not left behind at all while traditional designs still remain in demand. The fusion of a variety of tempting colors and styles designed by the proficient designer does allure us to grab the exquisite collection of saris. 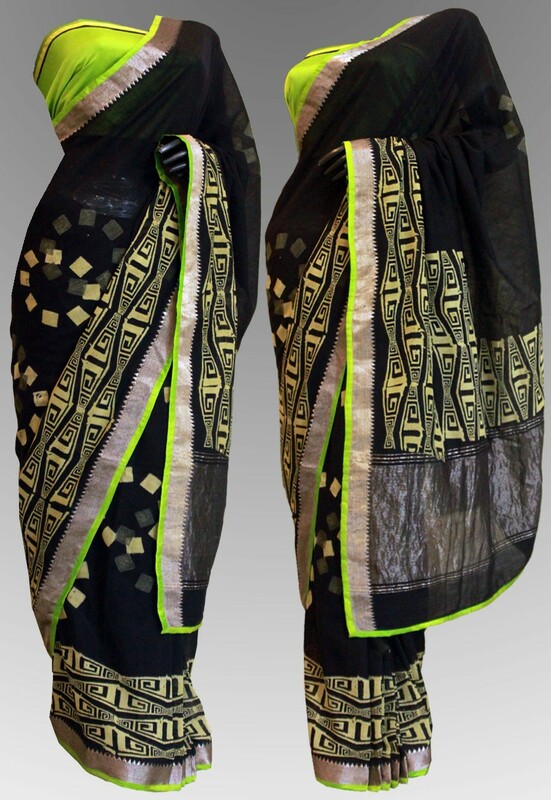 In the today’s fashion world, the Indian designer sarees are more used to help the ladies display their typical style statement instead of simply being a 5-9 yards cloth strip that covers up to their being in totality. Do you know that there are more than 70 ways to adorn sarees, which in itself describe a huge variety of the designer sarees can exhibit. This is the reason that why is it preferred by seasoned fashion designers in India and in many other countries such as USA, Canada, Australia and more. Women from royal families have played their part importantly in popularizing sarees as the most coveted dress among the women/. Also, the legacy still dominates with the best actresses of the entertainment industry padding designer sarees on the most vibrant red carpet, TV Reality shows, award functions, music albums and so on. Now, moving to Bollywood industry, there have been many incidents where the actresses have dazzled the silver screen with their beautiful sarees all embossed in attention grabbing colors, designs, patterns and textures. The sensational sarees worn by the Dhak Dhak girl Madhuri Dixit in the popular ‘Beta’ song and the Sridevi in the Hindi Flick Chandni and many more, together put up for a mega show of designer sarees to tempt the saree lovers across the world. The eye-popping Indian actress, Aishwarya Rai Bachan has made it almost a habit to make noise in the Cannes festivals with her beautiful designer sarees designed to perfection, particularly in the event. Many other actresses to keep on glamorizing the outstanding events happening all across the world with their emphasized sarees such as Deepika Padukone as she appeared in the Cannes Festival this year in an alluring saree.